FourSquare is a location based social media platform that can be a powerful marketing resource for many types of businesses. The tool can be particularly effective for retailers, restaurants, and other locations that rely on walk-in business, as well as other types of companies. According to Mashable.com, MTV, Zagat and The History Channel are even using the site effectively. Before you can use the site for marketing purposes, you'll need to claim your venue. 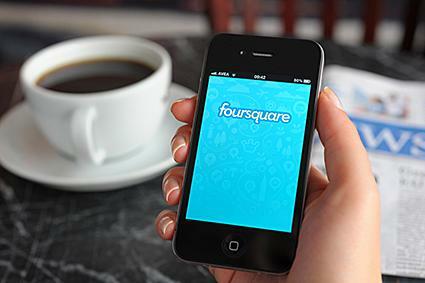 You can claim your company location on FourSquare at no cost, though the free route takes a few weeks to get set up. If you want to pay a $10 fee at the time you initiate the claim process, you can get ready to start using the site as a marketing resource much faster. The first thing you'll need to do is set up a free account (as an individual) and log in. Once you have done that, go to the business page on FourSquare. Use the provided search form to find and click on your company name. Click the "Do you manage this venue? Claim here." link toward the bottom right of the page. Confirm that you are authorized to claim and accept the terms on behalf of the company. Go through the verification process, which will involve providing information and a code via a telephone verification call. Finalize your claim, either through the fee-based online process or no-cost snail mail procedure. You will receive a FourSquare window cling via mail after you finalize claiming your business location. You'll want to display it in your entrance windows as a visual reminder to your patrons to "check-in" while they are there to raise your company's profile among their friends and in the FourSquare community as a whole. You can limit your FourSquare participation to displaying the window cling if you want, but there are plenty of other ways you can leverage the site to promote your business. You can create special discount offers for FourSquare users who "check-in" when they visit your facility. There is no charge for this feature. Verified managers of claimed businesses can share updates on behalf of the company in a manner similar to status updates on Facebook or tweets on Twitter. The updates will go to people who have previously checked in at your location or who have clicked "like" on it. You can attach images and specials. There is no charge for this feature. This marketing feature was introduced in July of 2012 as the first fee-based promotional option for FourSquare marketers. These updates are paid ads that target people who, based on their FourSquare activity, are ideal customers for advertisers. They go out in the same manner as regular updates but are not limited to existing customers and fans. Use the site's dashboard to see who is interacting with your company via the website and how. For example, you can view who has checked in, clicked like on your company profile and clicked like on your status updates. There is no charge for this feature. Claiming your business is the first step to using this powerful social media tool to build your business. Once you've done that, you'll be ready to start benefiting from the power of location-based social marketing.